Outstanding utility for separate Youtube's music from viedo file. Choice favor Youtube video than copy http://?????? ?/ attach to youtubemp3.tv window for start program. Then choice format High Quality MP3 Download option. When finish process your could see Icon of Download .mp3 file pop out. 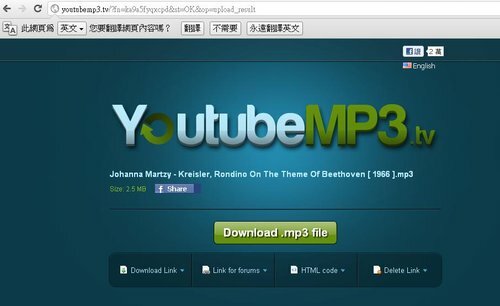 Click Icon of Download .mp3 file start download to your local computer.